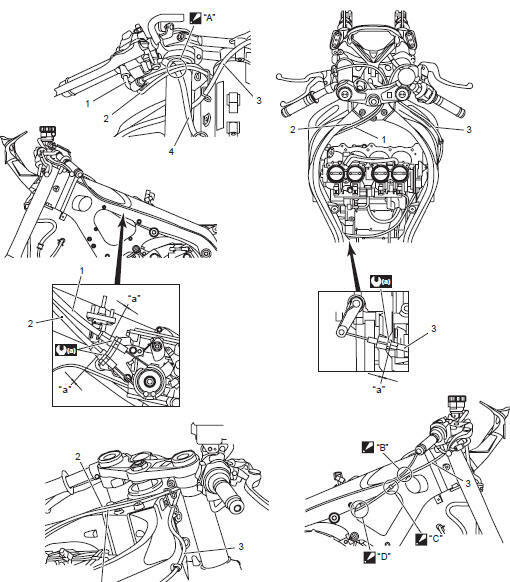 the throttle cables in front of the front brake hose. clutch cable above the right air intake pipe. clutch cable at the white taping point and make sure it does not slip out of the clamped position when steering. Cut off the excess tip of the clamp. clutch cable outside of the regulator/rectifier harness and water bypass hose.